Home » What’s New » Do I have the Best Vision Possible? Our expert eye doctors are committed to providing you with the best vision possible. An eye doctor will perform a detailed eye exam to check your eyesight, in our Tupelo, Mississippi, office. This includes a thorough eye test to determine your vision prescription for eyeglasses and contact lenses. In general, an accurate vision prescription aims to give you 20/20 vision. What does that number mean, and is it really the best vision? Although it’s possible to fit eyeglasses and contact lenses that give sharper than average vision, the gold standard in eye care is still 20/20. A prescription for 20/10 will certainly improve distance vision, yet it may compromise near vision. 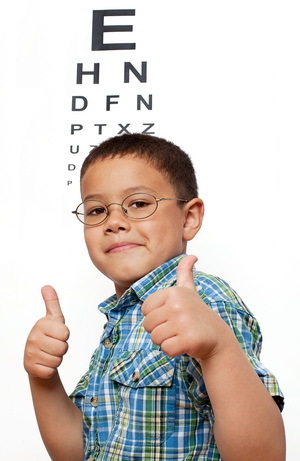 In our Tupelo optical center, our experienced eye care team will check your visual acuity carefully. Using high-tech diagnostics, we’ll ensure that you receive the best vision prescription for your ocular condition and lifestyle needs. While we don’t promise eyesight like an eagle or hawk, at Wesson and Mothershed Eye Center we are dedicated to fitting our patients with the sharpest vision possible for humans! Call Wesson and Mothershed Eye Center on (662) 269-0996 in Tupelo, Mississippi to schedule an eye exam.